We research and list a selection of price ranges with good reviews to save you precious time. Book using all the hotel links available on Trip Advisor. 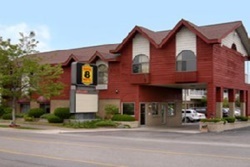 Here is the link for Pet Friendly Hotels in the Upper Peninsula, and here is the link for Pet Friendly Hotels in Mackinaw City from TripAdvisor. My strawberry hand-picked selection is below! 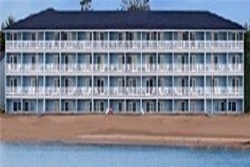 Mission Point Resort - BOOK IT! Bayside Hotel - BOOK IT! Allows pets up to 25 pounds, 2 pets per room for a $25 per night fee. Bridge View Motel and Condos - BOOK IT! 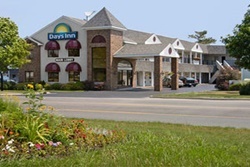 Days Inn Lakeview - BOOK IT! Pet fee of $10 per pet per night. Type "Mackinac" and your dates! 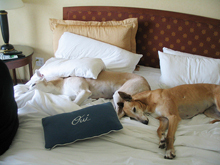 Best Western recognizes the ever growing needs for pet friendly accommodations. "We strive to offer our guests and their furry friends a comfortable stay and have done our best to ensure consistency at all of our pet friendly properties. There may be a maximum $20 per day charge for each room with a pet or multiple pets or a maximum per week charge of $100. A refundable damage deposit of up to $50 per stay may be required of all guests with a pet." Holiday Inn Express - BOOK IT! Quality Inn & Suites Beachfront - BOOK IT! Pet fee of $20 per night. Bridge Vista Beach Hotel & Convention Center - BOOK IT! Pets allowed to predesignated pet rooms for a fee of $25 per night. 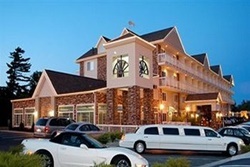 Fairview Beachfront Inn & Waterpark - BOOK IT! 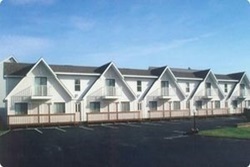 $$ Midscale, smoke-free hotel near waterfront, 4 buildings, seasonal- closed during winter, indoor pool and waterpark, free hot breakfast buffet, internet access, an parking; located directly on beautiful Lake Huron and a private sandy beach, overlooking Mackinac Island, you're sure to stay entertained at the Cast-a-way Bay Waterpark, free to all hotel guests, as well as unlimited access to the Indoor/Outdoor Waterpark Facility located at their sister property . Super 8 Hotel Beachfront - BOOK IT! Pet fee of $25 per pet per stay. 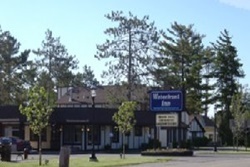 Waterfront Inn - BOOK IT!